Seminars offered by Kaicho, Bruce Bookman. Tenzan Aikido in Seattle. Careful instruction and personal guidance on techniques specific to each rank. This seminar, taught by Bruce Bookman Kaicho, is appropriate for student preparing for an up-coming test as well as those wishing to familiarize themselves with techniques required for future promotions. Sign up and pay at the dojo, or by email [ dojo@tenzanaikido.com] or by phone [206-525-4032]. June 8th. 12:30-2:30 7th, 6th & 5th Kyu. 3-5:30 4th and 3rd Kyu. August 10th.12:30-2:30 7th, 6th & 5th Kyu. 3-5:30 4th and 3rd Kyu. Saturday April 13th starting at 1pm. Saturday June 15th starting at 1pm. Saturday August 17th starting at 1pm. Saturday October 15th starting at 1pm. 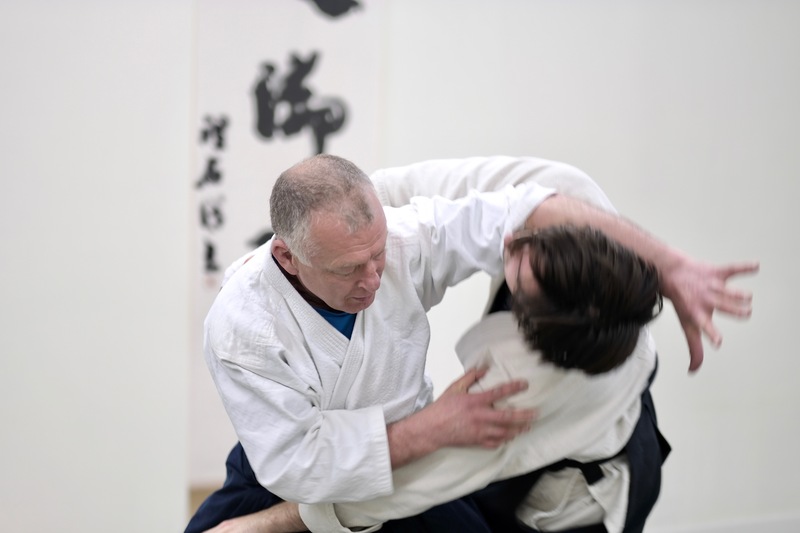 The Aikido Advanced Intensive offers a weekend of in-depth training with Kaicho, Bruce Bookman. Participants will get individualized guidance and help with getting to the next stage of their training. Bookman Sensei will spend time working, one-on-one with each student. Bokken and jo, freestyle and themes that connect basics to advanced techniques will be taught. Months of progress can be accomplished during this weekend. 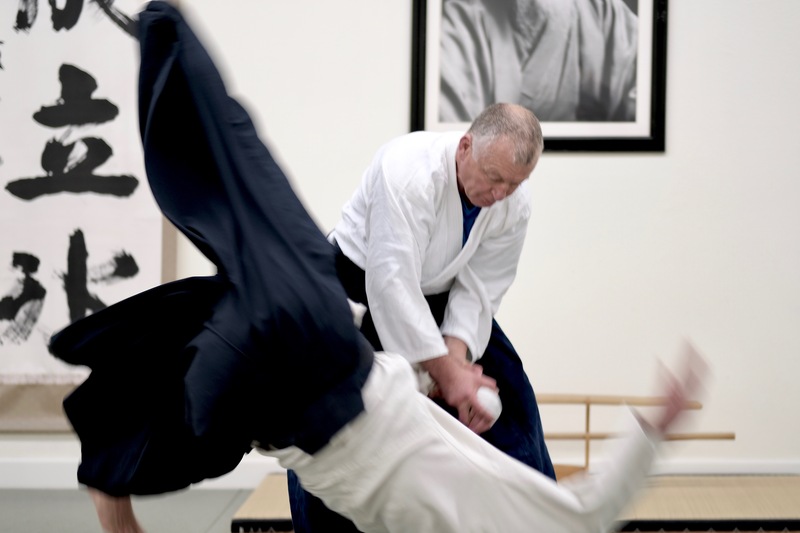 The Intensive is a great way to re-set your aikido practice for the year to come. Due to the popularity of this seminar, we are offerring two segements this year. Section I: January 24th, 25th and 26th 2020. $185. Space is limited to 22 participants. Schedule is subject to change. Bring along shoes appropriate for outdoor training. This one-day course trains women in the necessary skills to deal with aggressive individuals, especially when in unfamiliar or uncomfortable locations. This includes traveling abroad or late at night in a parking garage/the street or on the college campus. Women will be given a dialog to use in the typical pre-attack phases of potential physical violence. Often this dialog and postural training will be enough to cause would-be attackers to go the other way. Women will be given extensive drills in simple but effective self-defense, including practicing their skills against a padded, male instructor in mock encounters while being coached by a women instructor. This course assumes that you have no previous training and it will be adjusted to the participant’s fitness level. Women get experience in finding their voice and grounding themselves in their core strength. This course offers life skills that will help women stand their ground in difficult situation at work, in relationships and wherever it’s necessary.Women’s self-defense and Empowerment is a life changing experience even if you never have to use the physical self-defense skills. 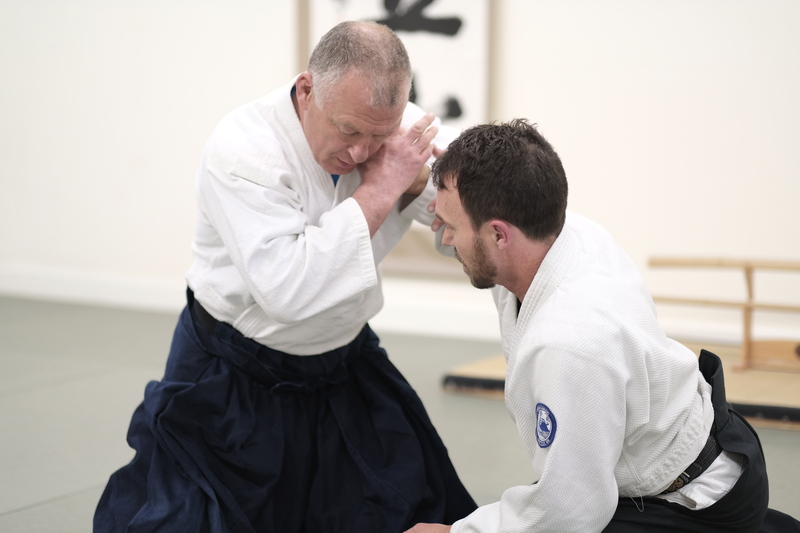 It's my pleasure to announce that Yahe Solomon Sensei, 6th Dan from Bozeman, Montana, will be teaching a seminar at Tenzan Aikido April 26th, 27th & 28th. Yahe is one of the best teachers, anywhere. He has extraordinary feel and groundedness. He taps into lots of power from a very soft place. Yahe is an amazing example of how power and gentleness live side-by-side and intermingle. I so much look forward to working with him again and to offer the aikido community exposure to his masterfulness. We are dividing this year’s seminar into three segments. Beginners up through 5th Kyu may take the Friday segment. Intermediate level students who are 4th Kyu and up may take the Saturday segment. Sunday will be for Advanced students only, 2nd Kyu and up. Students are welcome to attend any and all segments with lower rank requirements. $165 for all three days. "With breath and movement we facilitate growth and awareness thru dynamic interconnectedness." 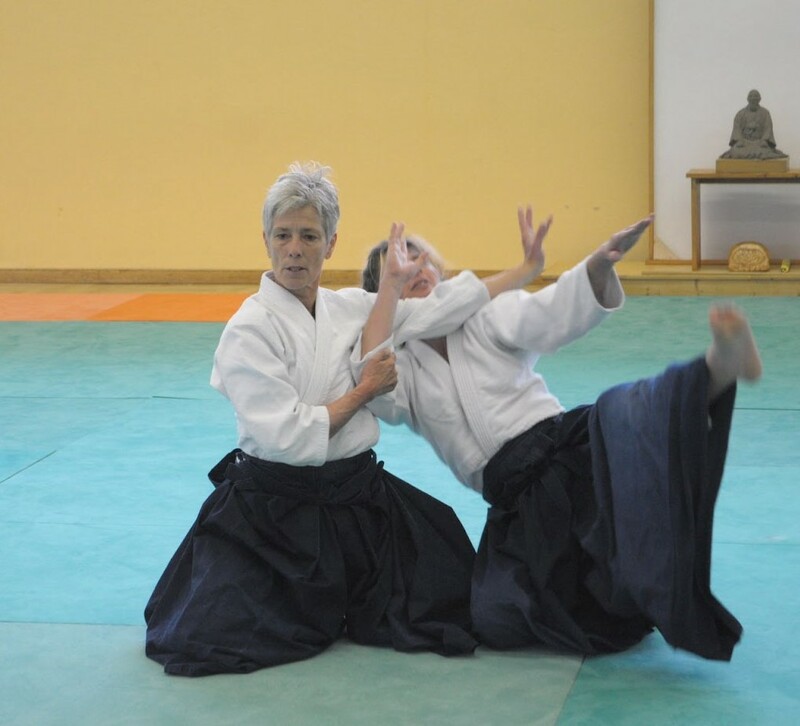 Kristina Varjan began studying Aikido at New York Aikikai, under Yoshimitsu Yamada Shihan, in 1975, while working as a professional dancer. It was during this time that Bookman sensei and Varjan sensei’s paths crossed. In 1986 she moved to New Mexico and began training under T.K. Chiba Shihan. She later moved to San Diego and joined the esteemed kenshusei program.. 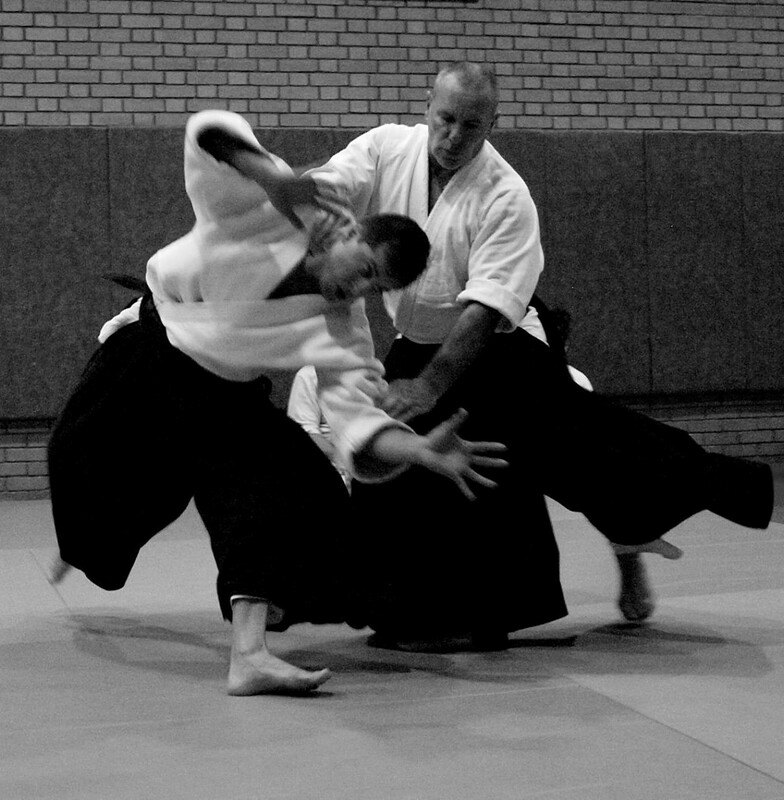 According to Bruce Bookman Kaicho, Kristina Varjan Shihan is one of the foremost Aikido Instructors currently teaching. This is a rare opportunity for us to train with such a gifted and dynamic teacher.